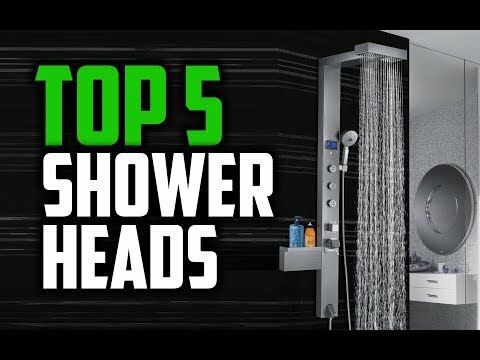 Skipping an intro and lots of chattering, I’m going to head on how a LED shower head works and why you need those exceptional LED lights. First of all, all colored shower head types rely on water flow to give them the energy to produce light via a microturbine chip. In some rare occasions, these LED lights just stop working. Basically, it’s due to mineral deposits building up inside the shower head, which in turn prevents the microturbine chip from producing enough power to light the led up. However, this issue is easily solved when you immerse your shower head in vinegar and water solution for a few hours. If this problem ever encounters you, try this solution and give me your feedback. Secondly, on the matter of why you need it, these shower lights offer a mood change during your shower time.Let’s say you get back from work feeling tired, or you wake up but still feeling sleepy, these lights activate your mood. They’re also a lot of fun for kids when you want to give them a little motivation on getting showered. It’s an awesome & fun experience to try with your partner. You’ll find yourself falling in love with shower times all over again. This chrome fixed mount face type comes with air turbo pressure boost technology. It is both stylish and practical! This baby has 5 water functions: PowerRain, EconomyRain, Hydro-mist, pulsating massage plus a water saving setting. It has an automatic color changing system, it changes with the water temperature. This one comes with 7 LED light colors. Its colored plastic head can fit most standard shower pipes. The LED lights change quickly so it will be more of a wake-up routine. Wall mounted chrome with a slide bar and dual water temperature control is an amazing square-shaped rainbow shower head. This light up shower head has three patterns: Normal outlet, Atomizing spray, and center column outlet. This type offers a great experience with crystal clear water flow. Automatic color changing with temperature sensor control. I think it’s worth the try! After checking on all these led shower heads, I was certainly thinking of adopting the rainbow led, the square one with temperature control. Yet I really wish I could find a dual between rainbow and the three water patterns type, especially for the atomizing spray technique! Do you have a living room with fireplace? Cause that’s what our next article’s about, keep in touch! Follow our Facebook page for instant replies on your daily questions.